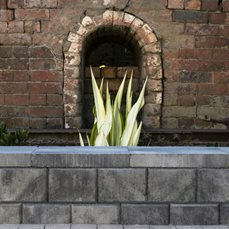 Midland Brick offers Standard & Express delivery services to all metropolitan areas in Western Australia. Please note, deliveries to rural areas may take longer than the estimated delivery time frames. Orders placed using Standard Delivery will be delivered within 5 business days of your order being confirmed. If you require specific placement of your items during delivery, it is important you supply us with detailed delivery instructions. If these instructions direct us to enter your property, you will need to submit a Delivery Authorisation Form to us via email. We will endeavour to place the product as you requested. 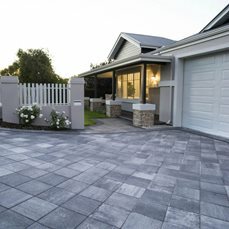 However, if you have not provided delivery instructions and someone is not present at the time of delivery, the Midland Brick driver will use their best judgement when placing the product. 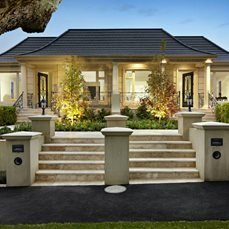 If there are any questions regarding your delivery, please contact us on 13 15 40 or email midlandbrick@boral.com.au. Orders placed using Express Delivery will be delivered within 2 business days of your order being confirmed. Additional charges apply for this service and will be calculated at the checkout. All express deliveries are to the verge of the property only. 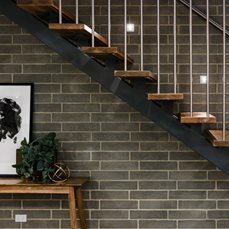 If you have any questions regarding your delivery please contact us on 13 15 40 or email midlandbrick@boral.com.au. 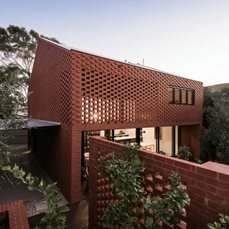 Which suburbs and towns does Midland Brick deliver to? We deliver throughout the Perth metropolitan area and most major WA regional and rural districts. You can see a full list of suburbs that we deliver to in the checkout process. Deliveries to suburbs falling in outlying areas may take longer than the estimated delivery time frames. Why I can't find my suburb in the delivery suburb menu? Unfortunately we are unable to deliver to your suburb at this point in time. Please contact us on 13 15 40 where one of our Customer Service team members can assist you. Minimum quantities apply to qualify for delivery. If your order is below our minimum quantity please call 13 15 40 to discuss further options. Please note, there is a handling surcharge for all products that are delivered or picked up loose or in part packs. Minimum delivery charges apply for all delivery orders. Regional areas will incur additional transportation charges dependant on weight and destination. 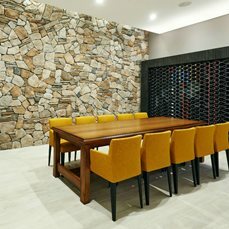 Midland Brick drivers can only deliver to certain areas of your property. In all circumstances, if no delivery instructions are supplied we will deliver to the verge if safe to do so. If there is no available space on your verge, Midland Brick will attempt to contact you for further instructions. If we are unable to get in contact with you, will arrange a redelivery at another time (additional charges may apply). Can you deliver to me on a requested day? Orders for a specific day can only be delivered within a 24-hour window, providing we have received sufficient notice. Our range of transportation and delivery equipment enables us to find solutions to suit most delivery requirements. Please call 13 15 40 to discuss your requirements. Due to the size and weight of delivery equipment it is preferable that product be delivered to the verge. This eliminates the possibility of damage to driveways, curbs, pathways and gardens etc. Where delivery to the verge is not possible, the owner of the property must complete an Delivery Authority Form. Please be aware of the possibility of damage should we need to enter the property - as outlined above. A driver will not complete a delivery if they feel that the area designated (by the client) is unsafe. In these circumstances the driver may unload product on the verge. If for some reason the delivery authoriser is not on site when the driver arrives, the product will be delivered to the verge. If the client requires the product to be shifted at a later date charges will apply. Please call 13 15 40 for more information. 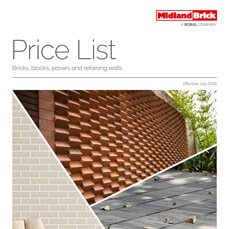 Have your order number ready and call 13 15 40 or email midlandbrick@boral.com.au. Some products are delivered on pallets. These orders require a $40 deposit per pallet. This deposit is fully refundable on return of the pallet to a Midland Brick Yard in its original condition within 6 months of purchase. Pallets can also be arranged for pick up from site for a $10 per pallet charge. For regional areas, pallets must be returned to the place of purchase. Some products are available on part pallets, meaning defined quantities (less than a full pallet) can be ordered. Conditions apply. Contact Customer Service for further information. We also offer a pick-up service from Middle Swan, Joondalup, Osborne Park & Jandakot. To ensure your safety and that of other road users, strict loading restrictions do apply. Please refer to the information below or feel free to speak to our Customer Service team on 13 15 40 for further information. Due to weight and loading restrictions, your standard garden trailer may not be suitable to pick up product from our yards. If this is the case, Midland Brick has suitable trailers to hire for a fee. If your trailer is not marked with load specifications, you can only load a maximum of half a pack of pavers or bricks. Compliance plates will dictate load limits of trailers. If there are no compliance plates our staff will advise loading options. Load restrictions and regulations also limit the amount of product we are allowed to loose load into vehicles. Approved safety barriers are required if product is going to be loaded in the same space as passengers. Please check with Customer Service for further details. Trailers without brakes or compliance plates will be restricted in their loading capacity. In the interests of safety, Midland Brick will only load vehicles that comply with the above. Midland Brick has suitable trailers available for hire. Load limits are subject to Government regulation and will be determined by Midland Brick staff. Some products are packaged on pallets. Please allow a 48-hour turnaround time for product to be packed on to pallets. These orders require a $40 deposit per pallet. This deposit is fully refundable on return of the pallet to a Midland Brick Yard in its original condition within 6 months of purchase. Alternatively, pallet pick up from a site can be arranged with Midland Brick for a $10 per pallet charge. For regional areas, pallets must be returned to the place of purchase (usually one of our authorised resellers). If you are picking up product and the quantity is under half a pallet, we may allow loose loading on to your vehicle or trailer and will then provide you with a refund for the pallet. Please note that this is dependent on the product you have purchased and other conditions apply. Please contact Customer Service on 13 15 40 for further information. All products picked up from a yard (excluding Middle Swan) will include an additional cartage fee from the brickworks to the relevant yard. A handling surcharge applies for product delivered or picked up loose/in part packs. A $100 restocking fee plus transport applies to any stock returned to yards. Stock must be in packs or on pallets as purchased. Please contact Customer Service on 13 15 40 for further information.